Be careful, you may want to keep these “gifts” for yourself. The good news is they are so inexpensive and easy to make, you can make one for your friend, and another one for yourself! First combine the lemon peels (no white pith) with the vodka in a jar. Let this sit airtight for 1 week. When the week is up, boil the 2 cups of sugar with the 3 cups of water and let cool. Strain the peels from the vodka mixture and stir in the sugar mix. 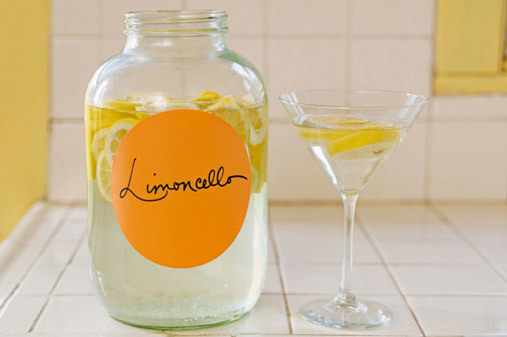 Pour the tasty concoction into the funky bottles and add lemons for garnish if you choose. This gift will also go good with a set of martini glasses if you want to go the extra mile. 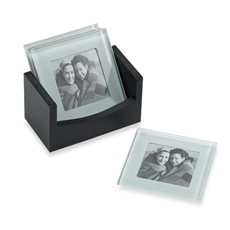 If you’re looking for something that will last longer, this picture frame tray is a good idea for the entertainer in your group. I love trays. They’re decorative, keep clutter off the table, easy to hide, and they just add that little touch that a boring coffee table needs. 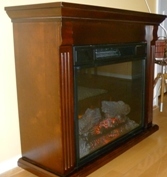 They’re especially handy for the popular upholstered coffee tables that have been taking furniture stores by storm. When I was tray shopping upon move in, I was specifically looking a tray that I could hang on the wall when not in use. I didn’t find it. 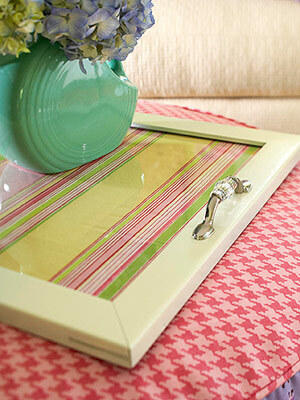 So when I saw this Picture frame tray at BHG, I knew what my bedside tables would be getting for Christmas. If you’re looking for something less sappy for a colleague, MIL or new acquaintance, these Gourmet Spoons from Learnvest will show how thoughtful you are without being a permanent reminder in the home. Melt the chocolate chips in the microwave for 2-3 minutes and stir until smooth. Dip the spoons into the chocolate and sprinkle on the candy bits. Refrigerate on wax paper until chocolate hardens. 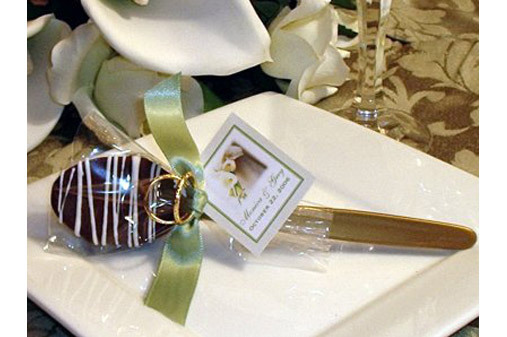 Wrap each spoon separately and tie with the ribbon. Present in a decorative box or tin. These can be savored as a lollipop or used to stir flavor into drinks. I have not personally tested these DIY gifts yet but plan on doing so next week. Check back for my experience and review.